Heat Vision is reporting Ryan Reynolds will join Justice Smith, who will be seen in the upcoming 'Jurassic World: Fallen Kingdom,' and 'Big Little Lies' actress Kathryn Newton. 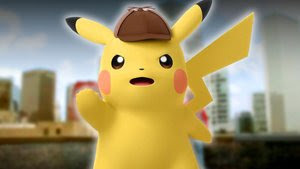 The film is titled Detective Pikachu, based on the gaming franchise. Many details of the project are being kept off the grid, including the casting, which has been underway under the radar by the usually secretive Legendary. The company has high hopes for the feature project, as the Pokemon franchise has sold 300 million video games worldwide, shipped 23.6 billion TCG cards to 74 countries, and has produced an animated series spanning 20 seasons. Alex Hirsch and Nicole Perlman wrote the latest draft of the script. Universal Pictures is handling distribution of the live-action film outside Japan; Toho will handle distribution in Japan.